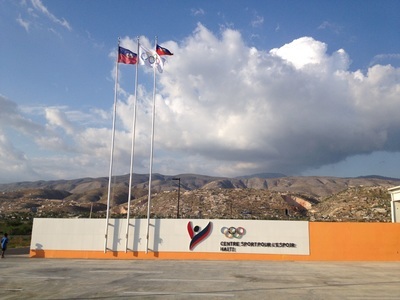 The multipurpose complex is located on land donated by the Government of Haiti. 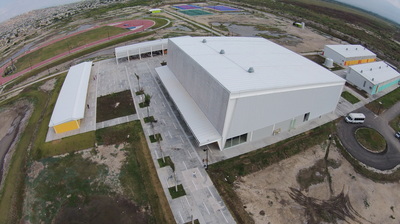 It features two large indoor practice halls, an indoor competition hall with a spectator capacity of 2,500, and a number of outdoor courts and pitches. 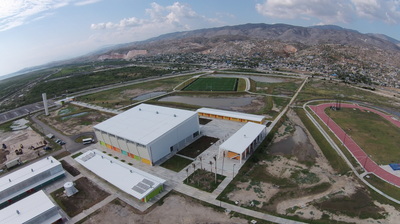 In all, 14 Olympic sports will be practised at the Centre: football, rugby, athletics, volleyball, basketball, handball, tennis, judo, taekwondo, boxing, karate, badminton, table tennis and weightlifting. The complex also has three classrooms, offices, a fitness centre, a medical centre, changing room and a gazebo. A building for accommodation is under construction thanks to the financial support from the Inter-American Development Bank (IDB). The medical centre is being set up in cooperation with the Red Cross Movement on land set aside for the Sport for Hope Centre. It will offer an emergency medical unit and ambulance base and be operated by the American Red Cross and the Red Cross of Haiti.